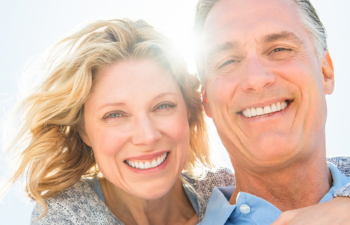 If you need to refurbish your smile, we welcome you to Center Point Dental in Payson, Arizona. Doctors Diquattro and Flaherty have earned the trust of their patients. They respect their patients and treat them to quality care. Patients can avoid all of the problems associated with missing teeth and opt for full or partial dentures instead! Our dentists offer several well-fitted denture options for patients with varying needs. What Makes Somebody a Good Candidate for Dentures? Patients who are missing several teeth may be ideal candidates for dentures. Patients who have many damaged or decayed teeth may also qualify for dentures. Individuals with jawbone deterioration may be better suited to traditional dentures, while patients with sufficient jawbone volume may qualify for implant-supported dentures. Traditional dentures are the most affordable and convenient way to replace missing teeth. They form a seal with the gums or attach to remaining healthy teeth. We also provide custom dentures, which are precisely personalized to your face and smile! Implant-supported dentures eliminate all of the limitations of traditional dentures. Instead of resting on the gums, these dentures are stably anchored by dental implants that are placed into the jawbone. They support the dentures and reduce bone loss. We even offer All-on-4 dentures, which allow patients to achieve a new smile in ONE day! Our dentists will strategically place four dental implants throughout the mouth to support an entire set of teeth! 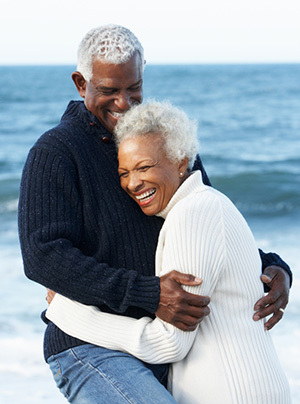 All-on-4 dentures also eliminate denture movement and jawbone deterioration. Which Denture Option is Best for Me? If you would like to learn more about your tooth replacement options, we would be happy to assist you. Contact our office and schedule a consultation with one of our experts. We can’t wait to give you a full and complete smile that you love!